Cleveland Mayor Frank G. Jackson took his 2018 State of the City address directly to the people by moving the annual event to 7 p.m. and making it free and open to the public. The address traditionally was held in Public Hall during the middle of the work day and was a paid event primarily attended by Cleveland’s business and philanthropic community. This year, Cleveland residents, neighborhood organizations, business leaders and members of the general public all joined Mayor Jackson for the event. 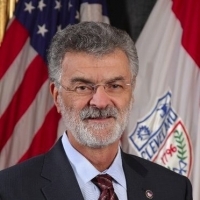 Mayor Jackson said he intends to use the same new State of the City format next year. The Mayor’s full State of the City speech has also been made available to view online on the City of Cleveland Facebook page and the City’s website at clevelandohio.gov/SOTC. The State of the City was live streamed across all of the city’s social media channels in HD for the first time. At the table were the publishers of Cleveland newspapers Profile News Ohio, The Collinwood Observer, the upcoming Ward 7 Observer, The Tremonster, and The West Park Times, and Darvio Morrow of Outlawz Radio. Jackson demonstrated his understanding of how each media outlet’s neighborhood and overlapping culture is positioned now, and his focus on giving each unique Cleveland community what it needs to grow. Jackson used his State of the City address and his new, multi-layered, direct-to-the-public format to raise awareness of his administration’s work to bring large-scale neighborhood initiatives to Cleveland residents. Some of the recent major initiatives include Phase I of Jackson’s $65 million Neighborhood Transformation Initiative (NTI). The NTI is a public-private sector partnership to revitalize neighborhoods where traditional development models haven’t worked. There is also the Safe Smart CLE Initiative to install energy-efficient LED streetlights and smart cameras throughout the city. He also discussed training of Cleveland’s recreation center staff to recognize trauma in young people, an initiative led by his Office of Prevention, Intervention & Opportunity for Youth and Young Adults. Healthcare, financial services, research, and manufacturing sector growth—as well as increased services to every neighborhood—were pointed out by the Mayor as examples of new engagement in collaborative efforts on the part of multiple sectors of the city. The Mayor also spoke of his efforts to spark development in distressed neighborhoods. Jackson also spoke of his new approaches to safety in Cleveland’s neighborhoods, including new Community Engagement Officers in every police district, and a new approach to youth violence designed to detect negative behaviors in our youth due to toxic stress environments. “We developed our Youth and Young Adult Initiative—why? Because we wanted to address crime beyond just having law enforcement…We're putting trauma-trained coaches in our rec centers; training all of our staff to identify young people exhibiting signs of this toxic stress and getting them and their families some kind of help.” Jackson said. Another part of the Mayor’s approach to youth opportunity involves the City’s efforts to make Cleveland a Say Yes to Education city. Say Yes to Education would be a game changer for Cleveland – not only because of the last-in tuition-dollar scholarships to address college access and affordability, but the comprehensive approach to ensure students and their families begin college-readiness starting in pre-K with the necessary academic and non-academic support services. Once students are willing and able, the Mayor sees vital importance in new technologies for learning. 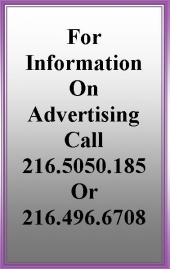 Neighborhood & Community Media Association of Greater Cleveland (NCMA) exists for small local media producers to seek mutual assistance and to support each other in a new technological environment and media landscape.